As a beautiful addition to any home, a drum top table is a necessity and no better than our Rochelle Noir French dining table to bring your room together. 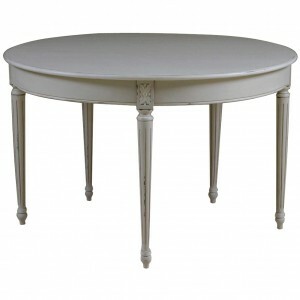 An exquisite and simplistic piece it compliments any colour scheme as it bears a neutral tone and elegant curved legs. Ideal with other pieces from our Rochelle Noir collection it boasts a black painted finish and is hand crafted from solid mahogany.